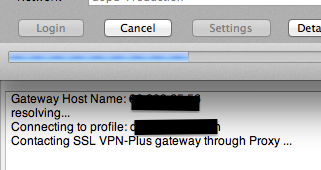 Anyone out there attempting to run the SSL VPN-Plus Mac client through a proxy will quickly notice that the settings do not seem to stick. 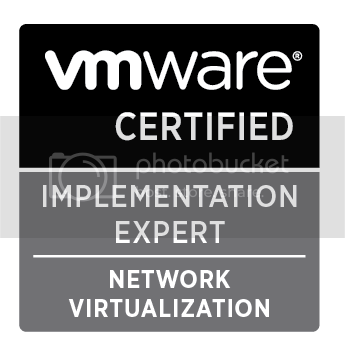 You check the box to enable proxy setting, add the configuration and click Ok.
All seems well (until you try to connect). 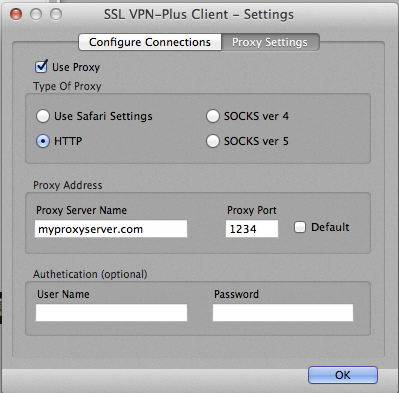 When the settings are applied correctly, the client will reflect that the connection attempt is routed via proxy. When you open up the proxy settings again, you see the box unchecked and the proxy configuration undefined. This is a known issue caused by a missing directory where the proxy configuration is written does not get added during install. This is slated to be fixed in a future release. Problem solved. Open up the client, configure the proxy, and connect. *Credit for the find to N.Albright for quickly finding the problem with dtruss*.